King Bhumibol Adulyadej of Thailand passed away peacefully at Siriraj Hospital on 13th October 2016. His Majesty was 88. At first glance, one may be skeptical towards the the late King Bhumibol of Thailand. He was the richest king in the world? Okay, probably because he inherited all that wealth. He studied in Switzerland? Well, that's probably due to his heritage as well. He could play the piano and saxophone and clarinet and trumpet, and had performed alongside multiple artists. Well one could say that he was rich enough to attend classes. He was a humble and down to earth person. Meh, probably made up by the Thai media that doesn't wish to see its publishing license revoked. That was until I read that King Bhumibol was the only monarch in the world that has invention patent under his name. Isn't that cool, a king that is really smart and wise and knowledgeable? Sounds like something that appears only in a Disney movie, eh? Well, the fact is, during his reign he invented new rainmaking technique in Thailand to kick start the agricultural industry. The king had not one, but several patents filed under his name. The reason why I think this is cool is because science doesn't really care whether you're a commoner or a king - you get a patent if and only if your invention really work. So King Bhumibol is no ordinary king--he's a really smart king. 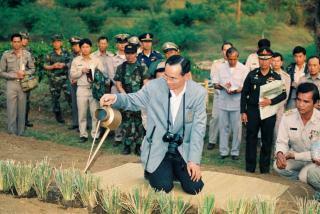 The contribution he'd made in agriculture is so enormous that today the country is nicknamed the "Rice Bowl of Asia". 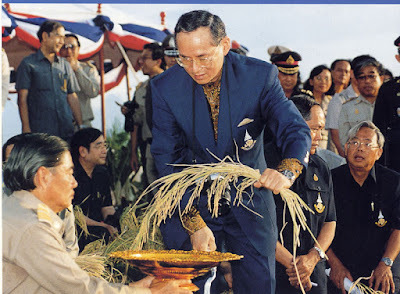 Moreover, the fact that he went through all the trouble to help developing the Thai agricultural industry (unlike most other kings of the world who sit at home and go to Harvard and boast about playing multiple instruments and do horse-riding simply because they're born into royalty, by the way) shows that he really cared about and loved his people and country. The longest reigning monarch in history aside, he's also a very considerate king. There was a story on CNN several years ago which chronicled the king visiting his mother in the hospital in Bangkok only during the night because he didn't want to cause a disruption in the city due to his entourage. Queen Elizabeth's royal corgi died last week. King Bhumibol took in a stray off the street, named it Tongdaeng (meaning copper), and wrote a heartfelt book about her attributes in 2002. Then there's the famous stories of his intervention in the nation's political scene. Suchinda resigned and subsequent elections saw the return of a democratic, civilian government. Eleven years earlier, King Bhumibol had aborted a coup by simply inviting the besieged prime minister, Prem Tinsulanonda, to stay at a royal palace with the king and queen. 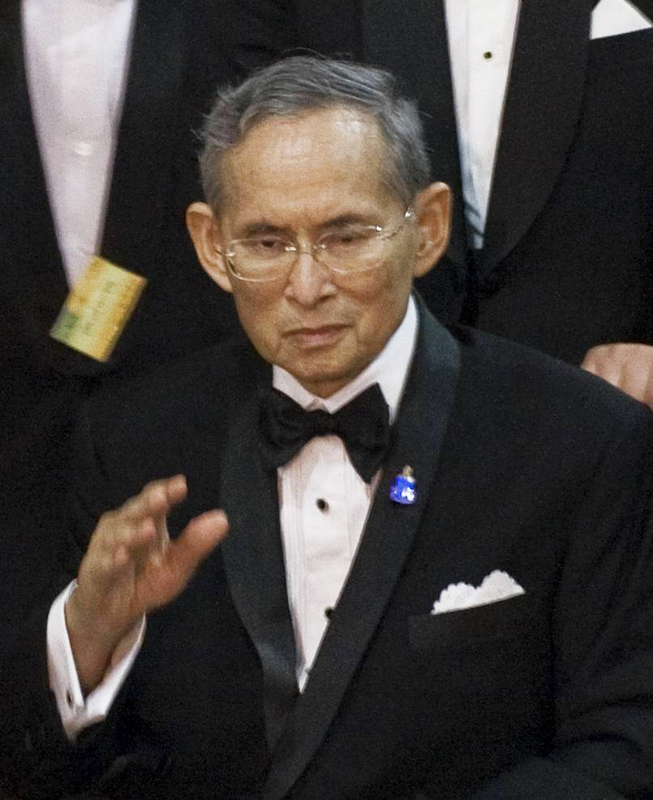 King Bhumibol could speak four languages and understood Latin and Greek. I've seen one of His Majesty's interviews on youtube and yes, he could speak perfect English with only a slight hint of Thai accent. In another video, King Bhumibol spoke to President Obama without the help of a translator. Then I checked an interview of the king in French and heck, he's good enough at conversation level (which means very good, definitely better than Prince William). So yes, I believe that he's the nice, humble, down to earth, multi-talented king reported by the Thai media, and a really good person. He's like the last remaining survivor from the gentlemen era, a time when people wore proper attire for the right occasion and acted with dignity and politeness and treated one another with respect. One can only hope that leaders and kings of other countries can be as wise, humble and knowledgeable as the late King Bhumibol. He once told an interviewer of The Times that he did not care how history would remember him. It is an excellent article. 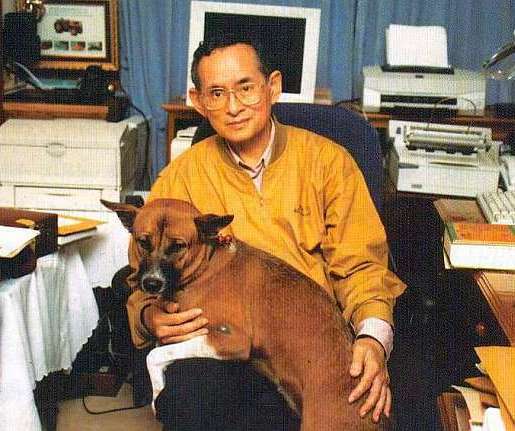 The writer could make all readers know more why Thai people love and respect HM King Bhumibol. He is really the great king. I was visiting Thailand the same year. I was there in the first week of October. Locals thought that the king was a kind person. Well, RIP King Bhumibol.